The famous Hollywood actor Jason Statham is preparing for the upcoming Fast and Furious spin-off Hobbs and Shaw, where he will be teaming up with the force of nature that is The Rock aka Dwayne Johnson. 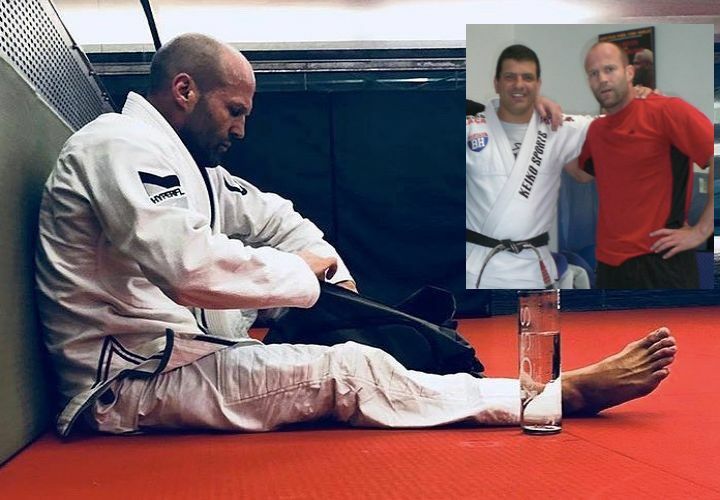 He’s getting in shape by training BJJ, a sport that he has been practicing on and off for the past 16 years and in which he hold s the rank of purple belt under the great Renzo Gracie. “How do you do you keep fit? Do you practise some sport or any kind of martial art? -Yes, I love martial arts. I do some jiu jitsu and some kick boxing. Anything that can help me in my job. But if I wasn’t gonna do it for work, I would have done it anyway because I enjoy that. I hear that you and Guy Ritchie are training jiu jitsu together. Who is better? Why exactly jiu jitsu? It’s a very specific form of martial art. -Because there’s not too much contact with the face, so the face won’t get hurt and that’s very important in my profession. You know, one mistake during the sparring and it’s hard to be in front of the camera when you have bruises or any kind of damage, so you have to try and, you know, do something else. What about MMA? Do you want to try it one day?